What made Star Wars Celebration Orlando so special? For many people it was seeing the first trailer for the next Star Wars movie at The Last Jedi panel. For others it was seeing Mark Hamill, Daisy Ridley, John Boyega, Kelly Marie Tran, Lucasfilm President Kathleen Kennedy and director of Episode VIII, Rian Johnson, on stage together. And for some it was meeting Rian Johnson in a surprise visit to the all night queue for The Last Jedi panel. 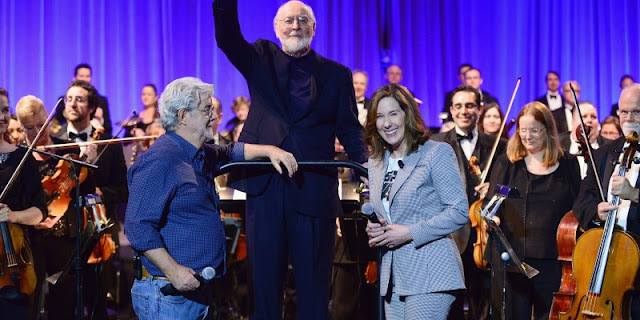 I cannot deny that (all of the above) was special, but there was another panel which for me made this Celebration a "once in a lifetime" event and that panel was named 40 years of Star Wars. When the title of this panel was first announced I have to say that it didn't really whet my appetite. Of course I was looking forward to seeing a tribute to the 40th anniversary of A New Hope, but nothing would really quell my excitement for The Last Jedi panel - to see new Star Wars content. My opinion gradually shifted after announcements were made by Disney and Lucasfilm about the attendees of the panel which included Billy Dee Williams, Anthony Daniels, Ian McDiarmid and most surprisingly Hayden Christensen. 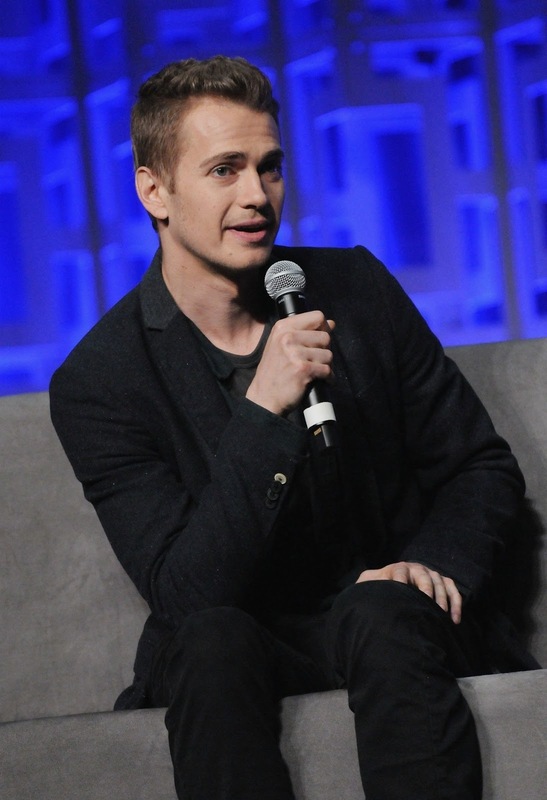 Hayden had not made an appearance at Star Wars Celebration for over fifteen years prior to Orlando, his first and only appearance was at Star Wars Celebration II which was promoting the yet unreleased Attack of the Clones film. The 36-year-old had also agreed to do autograph signings and photo ops, which were in such high demand that they had to open a second ballot of ticket sales for Hayden. The mere presence of a young Anakin Skywalker was enough to enthuse fans to attend what promised to be an extraordinary panel. The hype continued to grow for this panel with representatives from Lucasfilm, such as The Star Wars Show hosts Anthony Carboni and Andi Gutierrez, publicly imploring fans to attend this 'must see' event. Hearing that there were further surprises set in store had me thinking who else would turn up. My mind went straight to George Lucas and Harrison Ford and whilst I thought it was a big possibility that the Star Wars creator would turn up, I was less certain about the Hollywood star that is Harrison Ford. The 74-year-old had never attended a Celebration and whilst this would be a good reason to make a first appearance I had sincere doubts about that possibility. I was gladly wrong! The other aspect of the panel, which made it incredibly emotional, was the various tributes to Carrie Frances Fisher. Carrie's daughter Billie Lourd stepped out on stage to talk about her mother and it was extremely moving to listen to. It reminded fans that whilst we remember Carrie as Princess Leia and an extremely talented Hollywood actress, Carrie was also a mother first and foremost. Disney also released a video on the Star Wars YouTube channel which gave their own moving tribute to Carrie Fisher which exhibited both her kindness as well as her feistiness, embodied with the use of the David Bowie soundtrack Rebel, Rebel as a background track in the video. Later in the week Mark Hamill would give his own touching tribute to the Princess in a special solo panel and it made you as tearful as the 40 years of Star Wars tribute did. But just when you think it couldn't get any better. Out stepped John Williams! The roars from inside the room were enormous and raucous. Yet even at the moment of adulation for Star Wars fans it took a single motion of putting his fingers to his lips with one hand and then slowly lowering his hand with the other to hush the noise of the room. I have re-watched the ending of the panel several times and that is definitely the part which continues to give me goosebumps, particularly with the transition from Billie Lourd's tribute to her mother and then John Williams opening his performance by playing Leia's theme. How could it be bettered? In fact it was Williams who decided it would be best to start his performance with the Leia score. George Lucas named Williams "the best composer in the universe" and it's hard to disagree. So have I managed to convince you with what I have had to say that this panel was truly a 'once in a liftime' panel? Some may call me out as being biased because I was there and saw this all first hand. I had also queued up for twelve hours and perhaps that would have meant my response to this panel is more emotional and visceral. I have now attended four Star Wars Celebrations - Germany (2013), Anaheim (2015), London (2016) and Orlando (2017) - and I have attended over twenty different panels, including The Force Awakens panel in Anaheim. I thought no panel would make me feel how I did coming away from seeing the first full trailer of Episode VII in LA - the emotion and the excitement. That was until this year. The fundamental question that I have perhaps skirted around answering with clarity is why have I described the 40 years of Star Wars panel as 'once in a lifetime'? Well, it was all of it! It was the ensemble nature of it. It truly was a reflection of the legacy of A New Hope in cinema and in our culture. I was sat beside fans from America, Australia, Canada and Bulgaria during this panel. 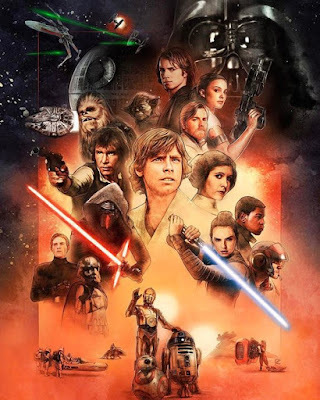 That in a nutshell showed what Star Wars has been able to accomplish, and what many other film franchises struggle to muster, and that is bringing different cultures together and all because they love one movie. They speak the same language. Whether it was seeing Liam Neeson, Samuel L Jackson and Hayden Christensen if you are a Prequel fan. Whether it was seeing George Lucas, Mark Hamill, Billy Dee Williams, Warwick Davis, Peter Mayhew, Anthony Daniels and Harrison Ford all on stage together if you are a Original Trilogy fan. 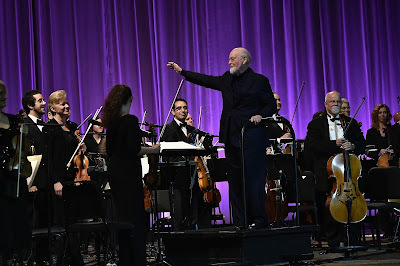 Whether it was tearing up at touching tributes to the one of a kind woman that was Carrie Fisher (our Princess) or whether it was seeing the musical maestro himself John Williams perform live at Celebration Orlando. I ask you whether a long time ago in a convention far far away, we could have imagined such a turnout and such a well orchestrated panel which is truly a 'once in a lifetime' event.